The Auburn University School of Forestry and Wildlife Sciences recently hosted a dedication ceremony of two original descendant Auburn Oaks located at Samford Park. Darryl and Dianne Rosser honored the legacy of their parents by dedicating the Oaks to The Debs and Grace Rosser Family and The Lewis and Nancie Robinson Family. 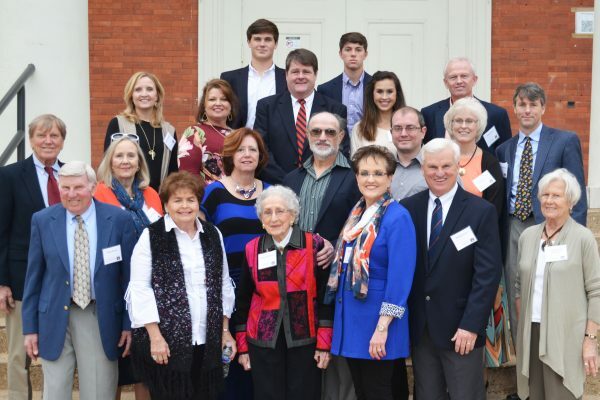 Both Darryl and Dianne’s parents made it possible for all of their children to attend Auburn University. “Our parents planted a seed with each of us at Auburn—seeds that culminated in very successful careers,” said Darryl Rosser. 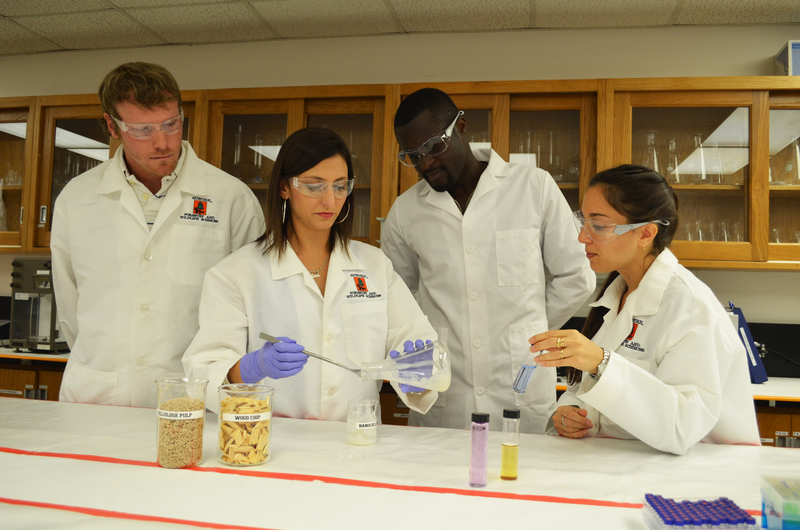 The Rosser and Robinson siblings left their mark at Auburn University in various curriculums including Poultry Science, Electrical Engineering, Business Education, Mechanical Engineering, Veterinarian Medicine, and Industrial Management. Additionally, the siblings earned two master degrees and a doctorate degree from Auburn. Auburn Oaks contributions support the endowed fund for excellence within the School of Forestry and Wildlife Sciences to provide support for scholarships, faculty and student development, and academic programs that will prepare students for a lifetime of success in their chosen careers. “Upon hearing the fresh and exciting vision of Dr. Alavalapati for the School of Forestry and Wildlife Sciences, our family wanted to honor the legacy of our parents, while paying it forward in a small way to assist Dr. Alavalapati to advance this vision through the students and staff at SFWS,” said Darryl Rosser. In 2001, School of Forestry and Wildlife Sciences Professor Scott Enebak began a program to ensure the Auburn Oak’s legacy. Under his leadership, Forestry Club and Wildlife Society members cultivated acorns from the original Auburn Oaks. Today, 10 of these descendant oaks line the new walkway at Samford Park. 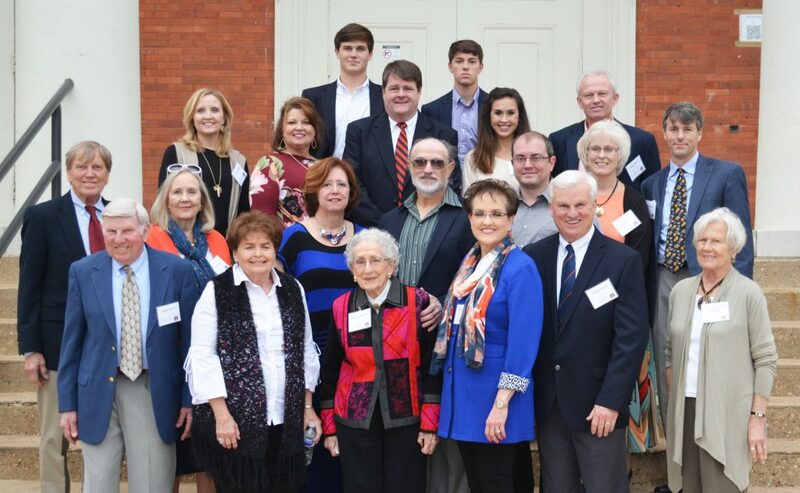 Now standing between 15 and 20 feet tall, eight of the trees planted have been named with an engraved brass plaque in recognition of friends and alumni who have made a $50,000 philanthropic gift to Auburn. Naming of the Auburn Oaks is a unique opportunity that will be a part of Auburn’s legacy. “We know our parents would feel honored to participate in this vision, and having their names prominently associated with descendants of the Toomers Oaks” said Darryl Rosser. Those interested in naming one of the remaining oaks can learn more about this opportunity by contacting the School of Forestry and Wildlife Sciences Development Office at 334.844.2791 or sfwsdevelopment@auburn.edu.